A new report on real estate trends says foreign investors may start looking beyond Toronto and Vancouver. TORONTO — A new report on real estate trends says foreign investors may start looking beyond Toronto and Vancouver and begin targeting markets in Montreal and Saskatoon in the coming year. The report by PwC Canada and the Urban Land Institute says both foreign and domestic real estate investment will shift in 2016 from Western Canada, where falling oil prices are hurting growth, to the east, where the low loonie is boosting manufacturing. PwC says Calgary and Edmonton were, until recently, among the most country's most promising real estate markets. However, as the price of crude has plummeted and investment in the oilpatch has dried up, both residential and commercial properties in the region have stopped switching hands as owners take a wait-and-see approach. Meanwhile, real estate markets in Ontario and Quebec — home to the bulk of the country's manufacturing sector — are poised to benefit from the lower loonie as well as the economic recovery in the U.S., Canada's biggest trading partner. 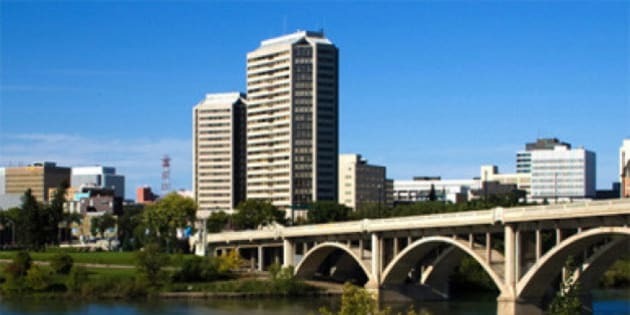 Chris Potter, a partner at PwC Canada, says Saskatoon farmland has also become attractive to foreign investors, although it remains to be seen how much of an impact the oil price shock will have on the province's real estate market. "Sometimes people scratch their head about Saskatoon, but over the last several years we've seen a lot of interest in Saskatoon, from an agriculture and timber perspective," Potter told reporters during a roundtable Tuesday. "Saskatoon has some concerns, because of the ripple effect from the oil and gas industries and the impact that's coming from Alberta, but there are a lot of other factors ... that are helping to contribute to its attractiveness now." "Renting is no longer seen only as a temporary step on the road to homeownership, but as an alternative," the report reads. "Today, we are seeing the rise of permanent renters — a new demographic in many Canadian markets, especially as a growing proportion of the population cannot assemble the down payment for a new home." In a separate report issued Wednesday, Avison Young says sales of commercial real estate in six major Canadian markets in the first half of this year have been lower overall than in 2014 — but more because of supply and price than because of interest by purchasers. The combined sales of office, industrial, retail, multi-unit residential and land totalled $10.6 billion in the first half of 2015, down $2.4 billion or 19 per cent from a year ago. 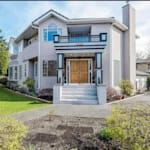 It said, however, the increased foreign capital — mainly from Asia — has pushed up pricing in Toronto and Vancouver and the second half of 2015 is shaping up to be busier. — Follow @alexposadzki on Twitter.